The colors of spring are popping all around! Every day the trees are greening up just a bit more and the flower buds are showing signs of colorful blossoms. There is nothing like seeing your first group of bright yellow daffodils or red tulips welcoming in the new season – Spring is finally here and I’m thrilled! Color, color, color! I’ve forgotten how much I’ve missed it! We’ve all experienced a long, cold, gray winter. OK, maybe not as bad here in Nashville as you friends up North, but we can all agree that it is time for more sunshine and longer stretches of daylight. Not only do I want to see more color in my yard but also on my plate! 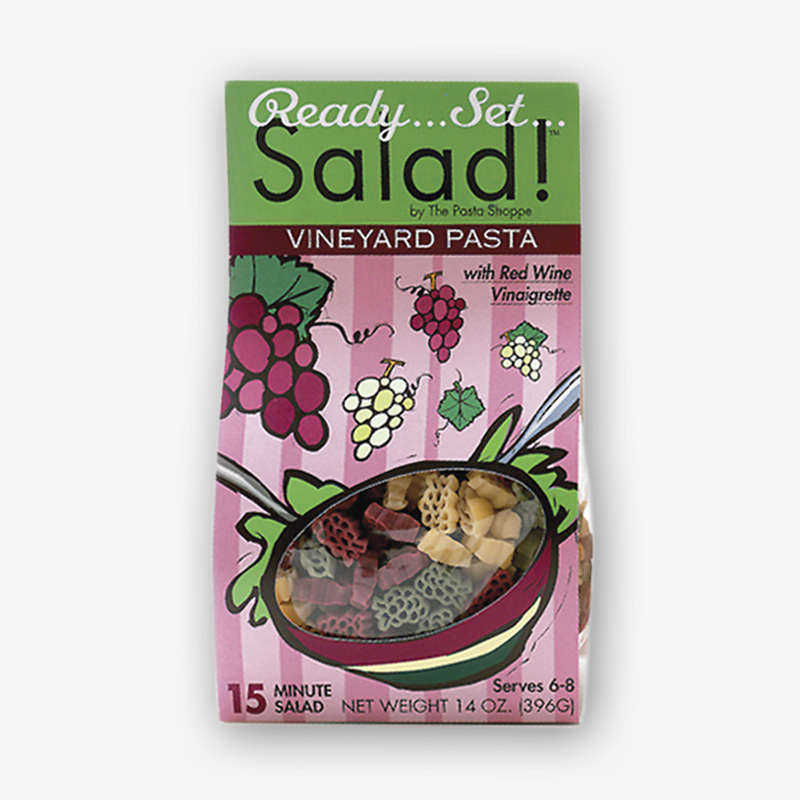 Salads, sides, or colorful fruit – bring it on. 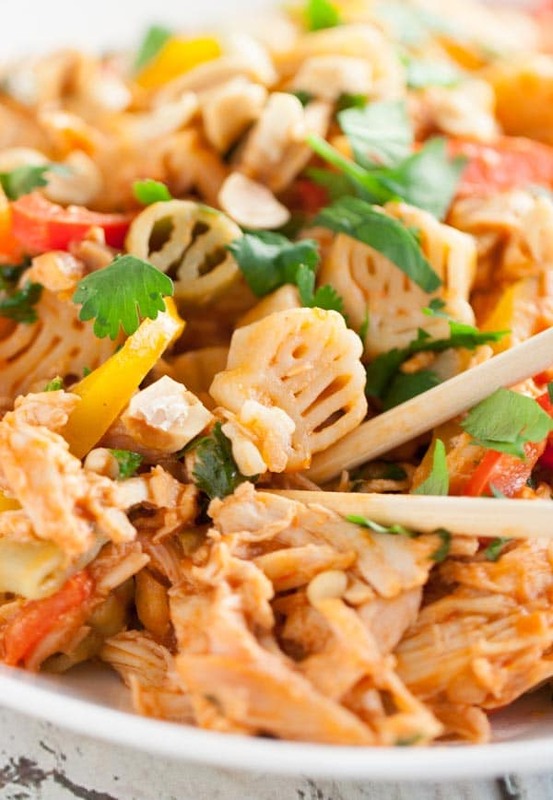 Thai Chicken Pasta is the perfect answer for bright colors and zesty flavors. 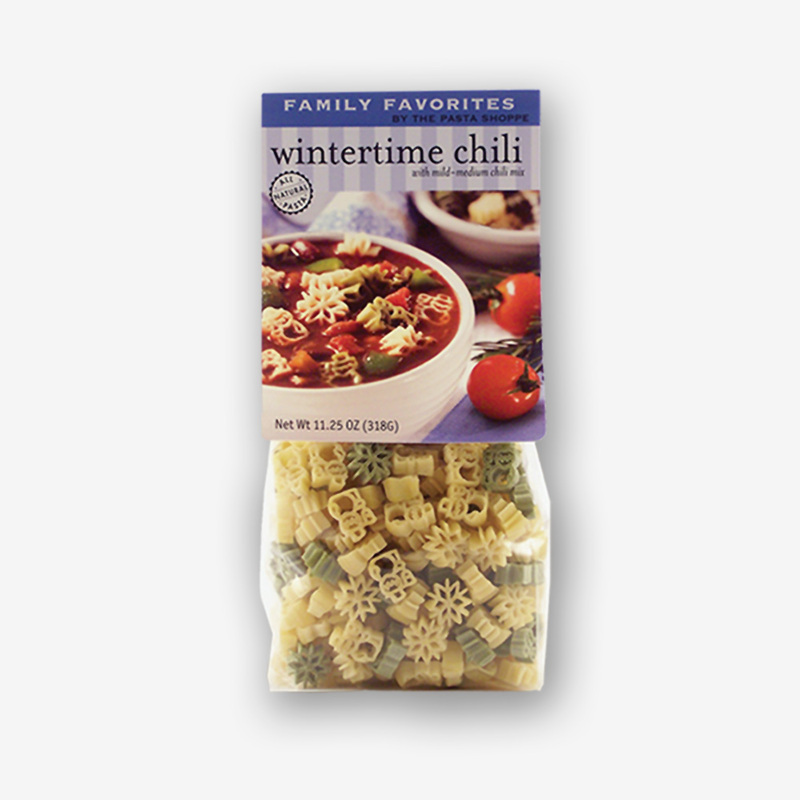 I served this to my family for dinner over Spring Break and received rave reviews. It was one of those nights when the March Madness basketball games on TV were endless and no one wanted to leave the house. We needed something for dinner that was substantial yet easy to make. Of course, rotisserie chicken always comes in handy when you are looking for some short cuts. 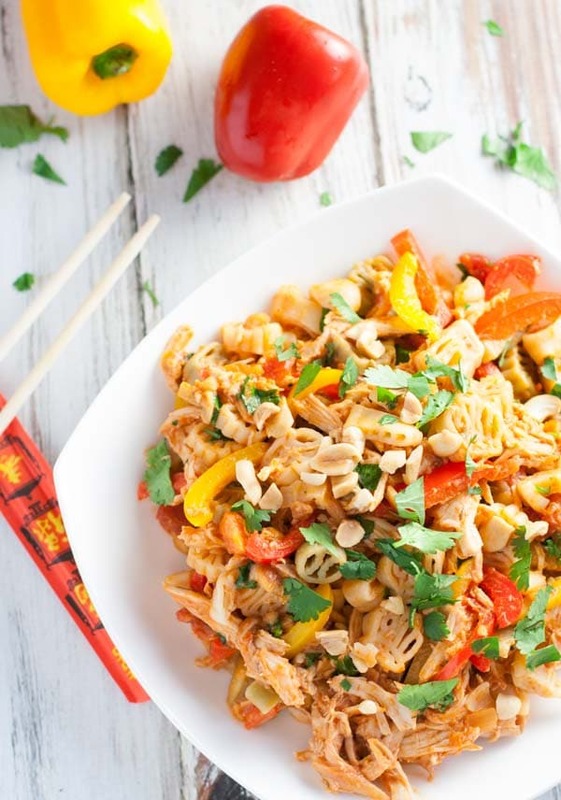 Red and yellow peppers add just the right amount of crunch and color. And when sautéed with a fabulous peanut sauce, the kids don’t complain a bit! The quick peanut sauce can come in handy too on another night. It is really just a few simple ingredients and can be made in a jiffy. I’m going to use it again as a dipping sauce with grilled chicken skewers or grilled pork tenderloin. Experiment with different salsas too. And have fun with the pasta shapes! 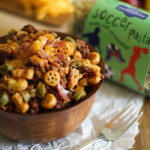 With baseball season here, I thought I’d show off our Baseball Pasta – cute gloves, balls, and bats. But any short shape can be substituted! 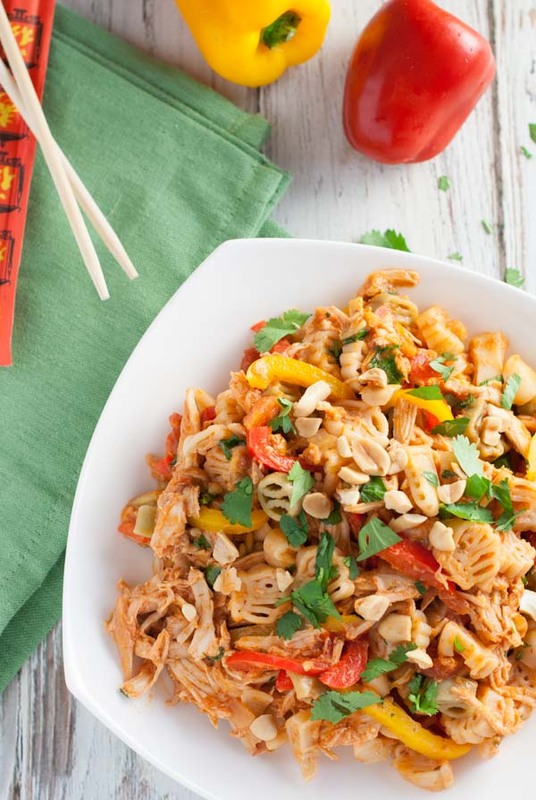 And if this gets your Asian taste buds going…try our Creamy Oriental Pasta Salad. The chopped fresh cilantro and chopped peanuts are critical to the overall impact and flavor of this dish – so make sure you have enough! Happy Spring and Happy Cooking! 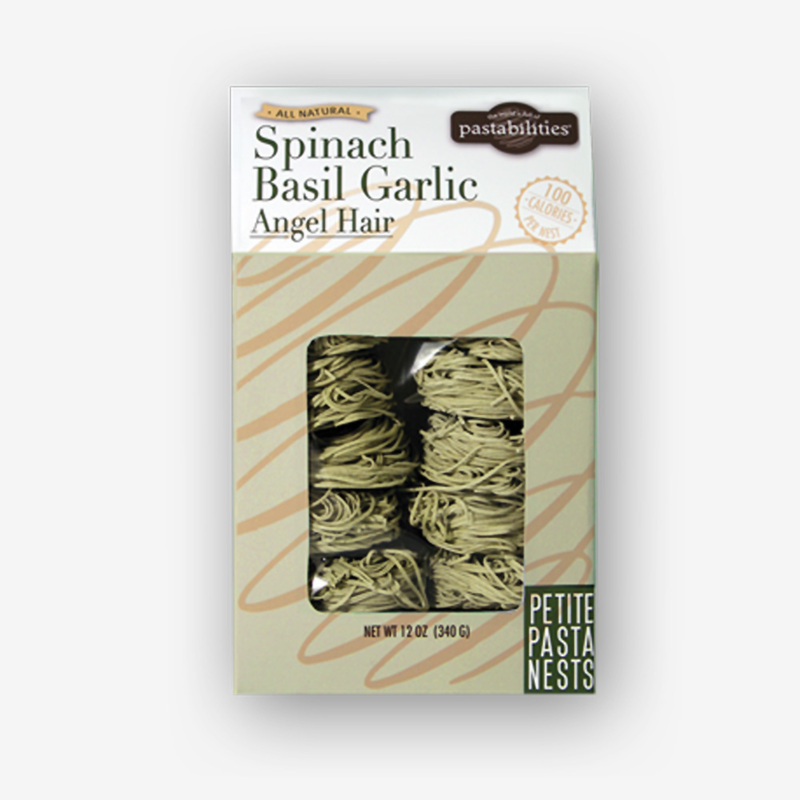 If you want to browse some alternative fun pasta shapes to add to your pantry, look at our selection here. And if you have any fundraising needs for your school or group, check out Fun Pasta Fundraising. We’d love to help! For the sauce, combine the salsa, peanut butter, orange juice, honey, and soy sauce, in a microwave safe bowl. Cover and microwave on high for 1 minute. Stir and set aside. In the meantime, in a large skillet, saute peppers in oil until tender crisp, approx. 2-3 minutes. Add chicken and warm. Add pasta and sauce to chicken/pepper mixture and toss to combine. 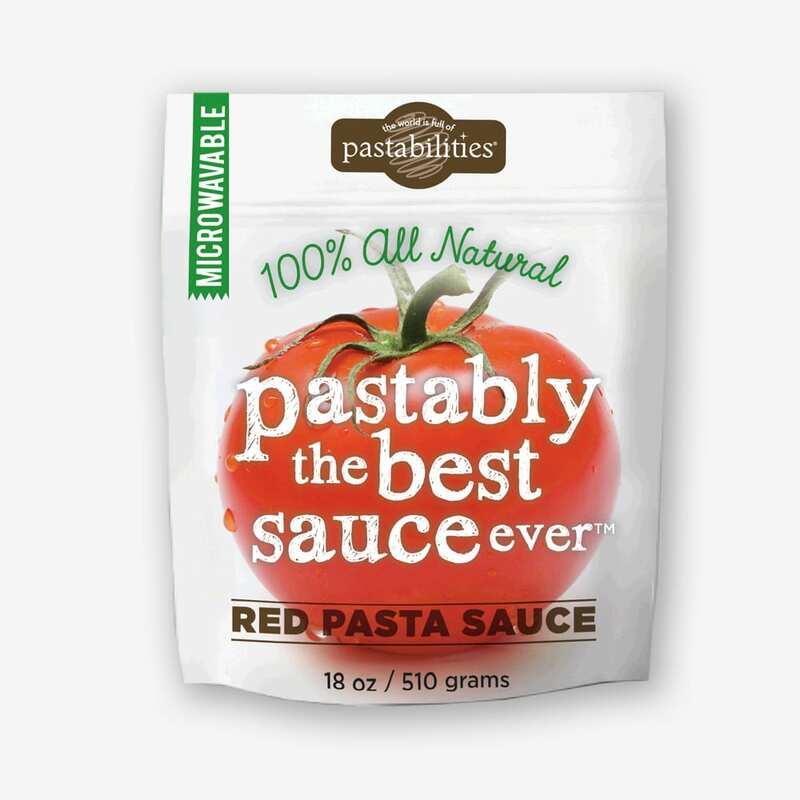 If sauce and mixture is too thick,add 1 T. of pasta water to skillet as needed and toss. 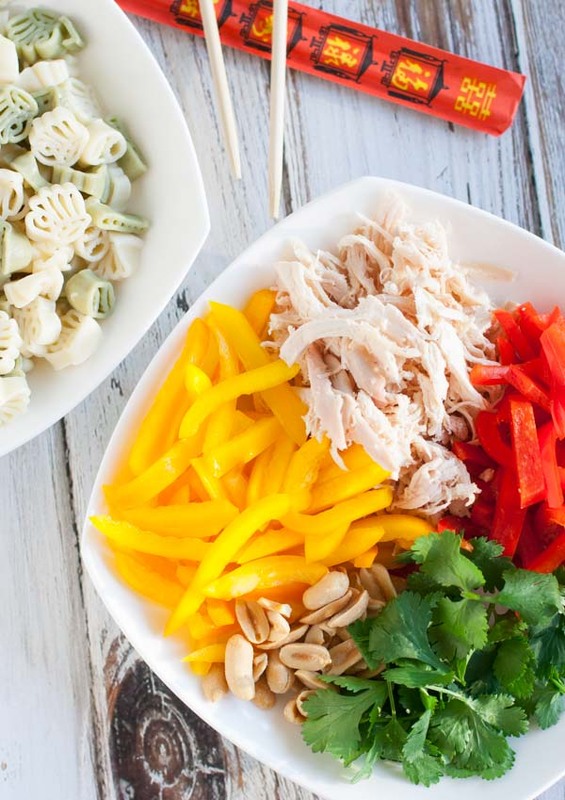 Serve pasta on plates topped with chopped cilantro and peanuts! This sounds like a home run! I’ve never tried adding salsa to peanut sauce. Can’t wait to try it. Am headed to grocery store right now! I have shrimp in my freezer….do you think I could substitute? 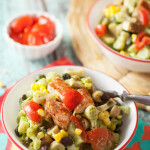 This dish is indeed colorful and sounds so yummy! Now that’s an idea! Sure. Let me know how it turns out. What beautiful pictures! 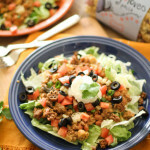 This dish looks delish!